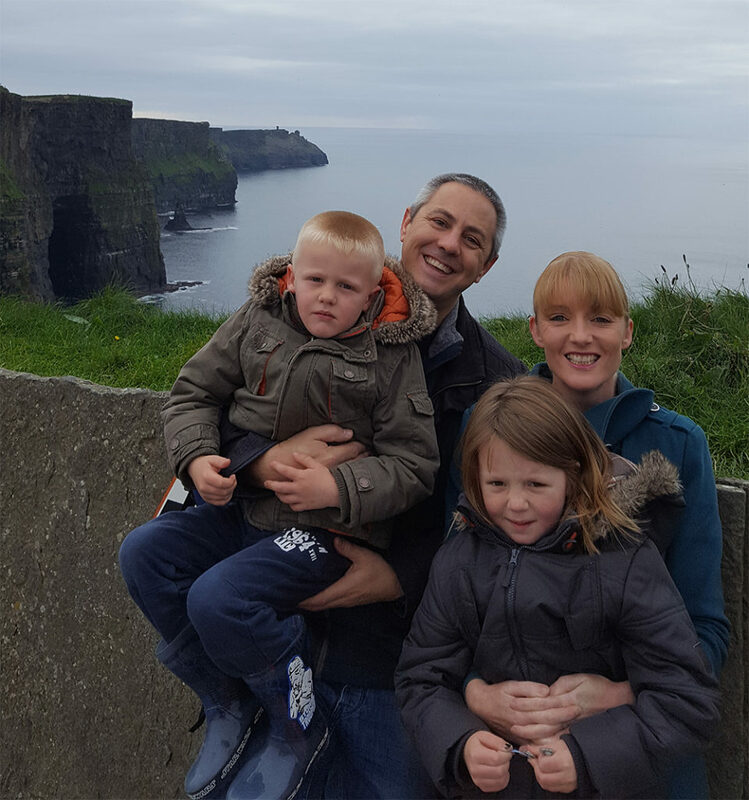 You wouldn’t think that a car journey with your husband and a 10-month old baby would be the time most people decide to leave their job and start their own business. But anyone who knows me would tell you that it sounds just like me – I’m not afraid of taking the odd risk and I don’t always make the easy decisions! I like to think of the poem The Road not Taken by Robert Frost (“….and I, I took the road less travelled by and that has made all the difference”). Anyways, we were on our way to visit the in-laws when my husband said we’d need to find somebody to help her (we only had Emily then, actually now that I think about it I was pregnant – Oisín came along about six months later) with her homework while we were in work. I was really upset by this and quickly realised that I always believed that I would be the one doing the homework. My heart sank at the thought of somebody else doing it, and I promised myself that I’d find a way to make it happen. While on maternity leave with Oisín, I decided to do a jewellery course. And it was then, at the age of 31, that I first held a saw in my hand and felt absolutely complete! It was the birth of me and Tracy Gilbert Designs. So, I eventually took the leap and left my job as an actuary (despite a lot of people telling me I was mad!!). In fairness, it wasn’t an easy decision. To give up a very high-paid job to pursue a dream does seem reckless but I’ve never been motivated by money and I felt that not fully committing to the dream was going to hold me back in many ways. Don’t get me wrong, at times when the stress really kicks in and a big order is going wrong, I often think that I would be less stressed back in my old job but this just requires me to dig deep and find a way to navigate through the madness. So skipping ahead a few years over which I tried hard to drown-out the noise of the naysayers, I now have my own business and my children are 6 and 7 (really fun ages). And I struggle with work life balance more than ever!!! Although, I’m not in an office from 8-6, I find myself running around like a headless chicken (or a blue-arsed fly as they say in Ireland). I thought running a business would give me greater flexibility but a clone would come in really handy! 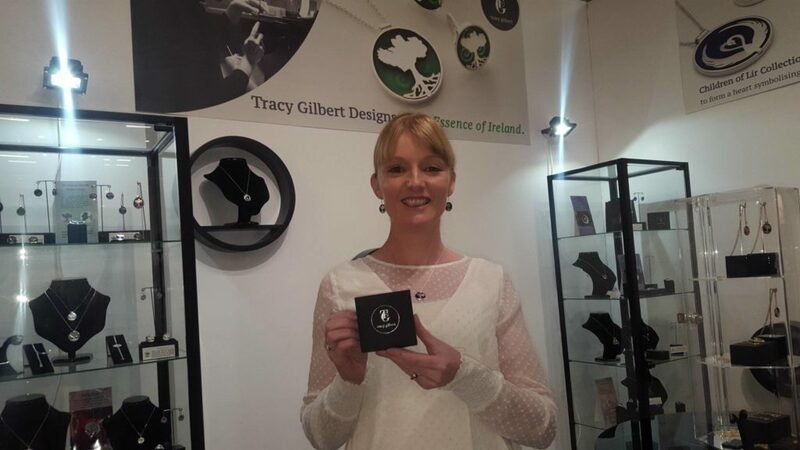 I’m incredibly lucky to have my jewellery stocked in a number of shops around Ireland and in the US. This involves me going on road trips restocking shops. Because some of my customers are in the US, I can get late night emails or phone calls and I like to respond as quickly as possible to their requests as without customers, there is no business. So, I find myself working when the kids eventually go to sleep (even after the “one more story”, “one more hug and a kiss” and sorting “can you fix my duvet?”). Things get particularly hectic when I am attending trade shows – it’s funny the 3-5 days that you spend meeting potential customers at the show is actually the lap of honour, the work that goes on behind the scenes to prepare takes months. Then there’s updating the website and trying to show people that I am still alive and kicking by posting on social media! The piece I enjoy most about being a jewellery designer is the actual designing and oddly enough I don’t get that much time to do it. I’m lucky in that many of my ideas hit me at the strangest times. My Growing Home design came while I was driving the kids home from my mam and dad’s house. I had been visiting my mam and dad and it was around the time of The Gathering (an Irish government initiative to increase interest in and tourism to Ireland). To this point, my dad hadn’t really taken my love of jewellery-making seriously – I had worked hard to be an actuary and I was doing well at it. But on this particular visit, my dad said “ye know, ye should really come up with a special design for The Gathering, love”. I was excited that he’d taken such an interest and I was a bit hyper as a result. I was driving home with the kids yelling in the back of the car but my mind was flying with ideas. Hmmm The Gathering, Ireland, Irish roots… and all of a sudden, I saw Ireland on the top of a tree with deep roots. I pulled into the drive, told my husband to watch the kids, jumped onto the computer, quickly sketched what I had in my head using MS Paint and then ran to the studio and produced a very rough version of my Ireland tree which is now known as my Growing Home collection. Between athletics, gymnastics, swimming, tin whistle and tennis, I use my not doing jewellery hours to chauffeur the kids around to their various activities. I’ve often taken a call from a customer after bribing the kids before I answer and then end up refereeing an argument and then apologising to the customer but customers seem to find that endearing! Oh – and I’m also training to run the Dublin City Marathon in October because, well – I guess I’m a glutton for punishment! What having my own business has taught me is that I am my worst boss. I’ve had many different managers over the years, but I am certainly the hardest on me! I also find myself stressing about things I never thought I would. My jewellery designs are an extension of myself and so I wear my heart on my sleeve a lot. I have presented to over 100 actuaries but the idea of standing in a shop in front of customers filled me with fear. What if they didn’t like me or my jewellery? I was always a very confident person at work but I find that I am a lot more shy now that the designs and company are about me. I also get very anxious about things. At the beginning if a customer called, I’d assume that something was wrong. Time has made me realise that customers normally call for positive reasons and if something small has gone wrong, then it’s easily fixed! But I do still worry (a lot!). I worry when things are quiet that the business is going to end, that in some way I’ll have failed. The reality is that I’m teaching my own children to follow their dreams and I would never think that anybody that has taken a leap of faith and followed their heart was a failure even if it didn’t result in a company that lasted forever. I’d think “fair play to you for having a go”. On the other hand, I also worry when things are busy that things will never slow down! But what I can say for sure is that when I make a piece of jewellery for somebody that resonates with them and they treasure, there is nothing quite like the feeling of making that person happy and I hope that I can continue to do that for as long as can be! This entry was posted in News, Tracy and tagged Growing Home, Ireland, irish design, TRACY, Tracy Gilbert Designs.